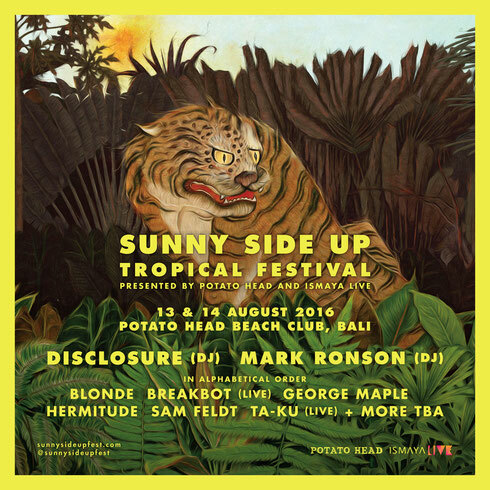 Two Indonesian brands Potato Head and Ismaya Live collaborate again for the third annual Sunny Side Up Tropical Festival, with the event now taking place over two days at the Potato Head Beach Club in Seminyak, Bali. This year's festival will offer a combination of live acts and DJs. Artists confirmed so far to appear include Disclosure (DJ), Mark Ronson (DJ), Ta-Ku, Breakbot, Sam Feldt, George Maple, Hermitude and many others. 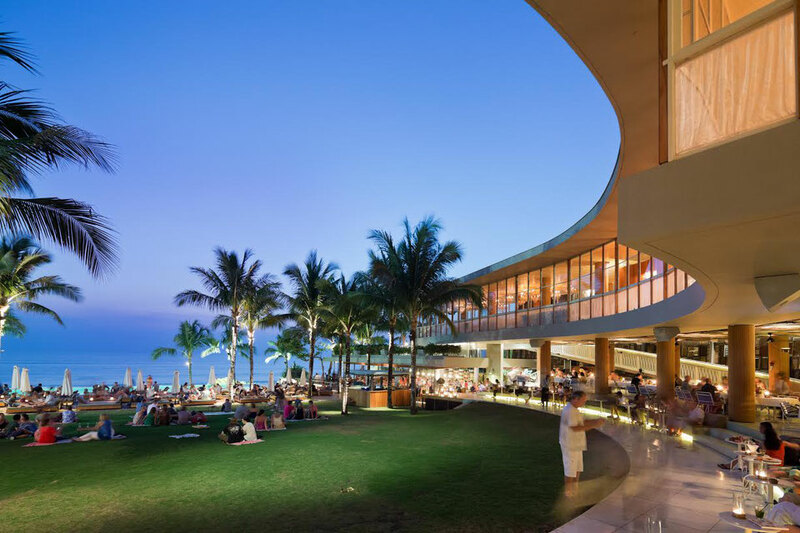 The festival's stage and bars will be made from locally sourced, sustainable materials, aiming to give Sunny Side Up a bold tropical feel that reflects its surroundings whilst remaining responsible and respectful to the environment and the local communities. Disclosure's debut album 'Settle' (2013) arguably put the English duo, brothers Howard and Guy Lawrence, at the forefront of a new wave of electronic music. 'Settle' topped charts, won numerous accolades and ushered in a new type of dance music. The band followed it up with 'Caracal' (2015), which earned Disclosure its second Grammy nomination. Producer and DJ Mark Ronson has earned both praise and popular success for his throwback, soul and funk influenced work with such diverse artists as Ghostface Killah, Amy Winehouse and Bruno Mars. The stepson of Foreigner guitarist Mick Jones, Ronson spent the first eight years of his life growing up in England. Having played guitar and drums from an early age, it wasn't until moving to New York City with his mother that he discovered DJ culture. At age 16, and already a fan of popular hip-hop artists such as Run DMC and the Beastie Boys, Ronson began listening to the various hip-hop mixtapes. Inspired, Ronson confiscated his father's record collection and tried his hand at mixing. It was the first step in a career highlighted by work on Winehouse's Grammy-winning album, as well as his own global smash hit 'Uptown Funk'.